By making a will you tell your executors what you wish to happen after you die. This makes it much easier for your family or friends to look after your affairs. 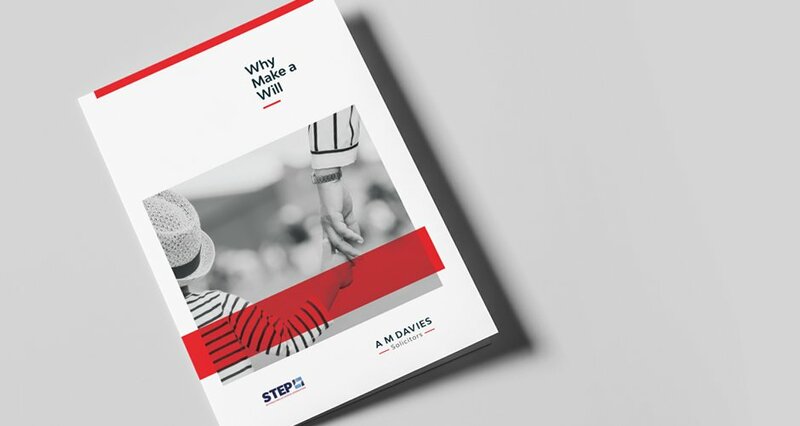 Without the instructions contained in a will the process can be more time consuming and stressful for those who have to administer the estate. If there is no will, everything you own will be shared out as stated by law – which may be different to your wishes. In your will, you can say who is to look after your under age children, rather than leave it for Social Services or the Court to decide. A will can help reduce the amount of Inheritance Tax that might be payable on your estate. Writing a will is important if you have children or other family who depend on you financially, or if you want to leave something to someone outside your immediate family. This leaflet explains the advantages of having a professionally drawn up will, to help your family through the difficult time after your death.